From the gorgeous scenery to the spectacular greens to the exquisite cuisines, Avondale Golf Club homes have a little bit of something for everyone. Starting back in 1969, this golf club quickly became one of the first private clubs in Palm Desert and has truly flourished since. Aside from the countless amenities available, this club has tremendous Palm Desert real estate to take advantage of as well. Avondale Golf Club has become known for its active social calendar that includes countless events and activities for guests to partake in. Everything from holiday gatherings to family style dinners to golf tournaments can be enjoyed. And for those that want to enjoy this year-round, there is no better Palm Desert CA Real Estate than within the Avondale boundaries. From the gorgeous scenery to the spectacular greens to the exquisite cuisines, Avondale Golf Club Homes for sale have a little bit of something for everyone. Starting back in 1969, this golf club quickly became one of the first private clubs in Palm Desert and has truly flourished since. Aside from the countless amenities available, this club has tremendous Palm Desert real estate to take advantage of as well. Avondale has become known for its active social calendar that includes countless events and activities for guests to partake in. Everything from holiday gatherings to family style dinners to golf tournaments can be enjoyed. And for those that want to enjoy this year-round, there is no better Palm Desert CA Real Estate than within the Avondale boundaries. The homes within this community have a wide history as they have been built from the early 1970s thru 2000. Amongst the various Avondale Golf Course Homes for sale, you will find semi-custom and custom homes with a vast size difference. Everything from a two bedroom home at 1,632 square feet to a 7 bedroom 7,000 square foot home can be found. And the low HOA’s include social membership, tennis court usage and prime security. After enjoying the gorgeous weather the Palm Desert area has to offer, you can step inside the dining room for a delectable meal. The dining room is where the magic happens as it is famous for its wonderful atmosphere and delicious cuisine. You are guaranteed an appetizing experience regardless of whether it is a healthy breakfast before your tee time or an elegant dinner. The friendly staff and professional chef will present an unforgettable meal. While the community is pleasant, the homes are nice, and the tennis is fun, it is within the golf course that really sells Palm Desert realty. The traditional tree lined golf course at Avondale was designed by Jimmy Hines and is ideal for golfers of all levels. Whether you are a professional or someone looking to have a good time, the course offers a true challenge day in and day out. Avondale Golf Club is similar to the northern course, but unlike any other course in the desert. Many consider it to be a hidden gem within the Coachella Valley. There is a traditional tee time system with a wide array of different daily games. While access to the golf course is assured and meeting new friends is guaranteed, some good fun in the sun and a competitive round of golf is a sure thing. The average round of golf is rarely over four hours allowing you to get off the course and enjoy the rest of the afternoon. Avondale Golf Club is a member owned, equity club and camaraderie surrounds the game. Membership to the club is very active as members come from all over the United States and Canada to enjoy the desert in a different light. In addition to the golf and outstanding community, the club is located close to the desert’s best shopping, restaurants and attractions providing members with the best experience possible. 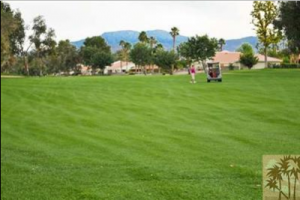 So whether you are looking for Palm Desert Real Estate, a friendly environment at a club, or a superb golf course, Avondale Golf Club has it all. If you would like to see Avondale Golf Club Homes For Sale, please call us at the number below. Elaine Stewart is committed to helping you find the home of your dreams.